Skin prep is of supreme importance. I like to incorporate an oil of some kind, just to get a little bit of slip on the face. 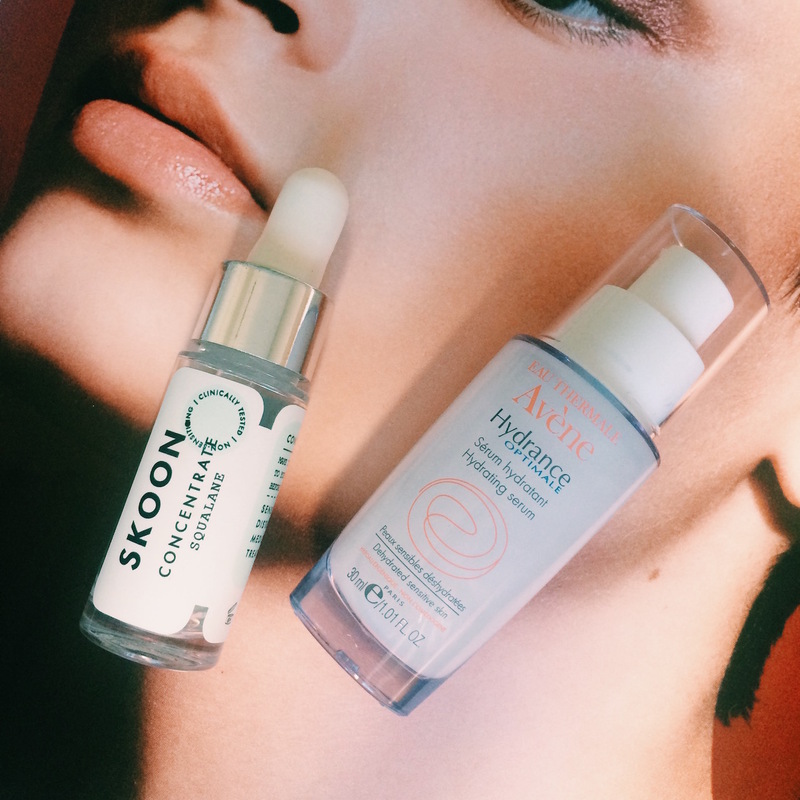 The consistency of my beloved Environ Hydrating Oil Capsules are a little bit too thick for this purpose, so instead I have found that mixing together my SKOON Concentrate Squalene with two pumps of the new Avène Hydrance Optimale Hydrating Serum works really nicely and creates just the right amount of glow. 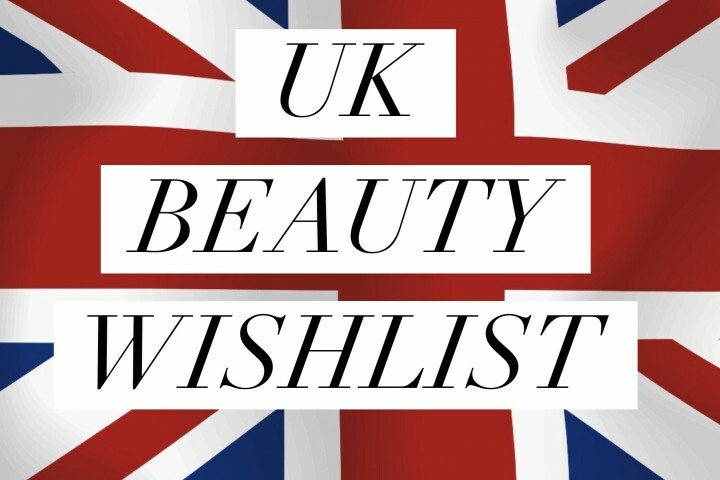 You could also use the Smashbox Primer Oil – a lovely alternative. 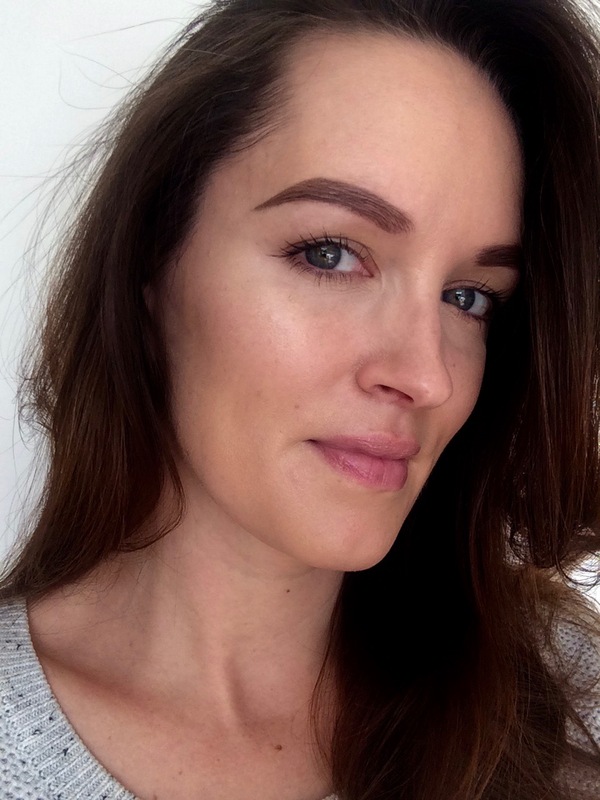 I then massage some of my Environ Mild Moisturiser (day or night, depending on whether you want an all-day glow or a night-out glow) on top, and I find that this combination of products leaves me with the most perfect base. Very pleasing. The next step involves the use of a light reflecting primer. 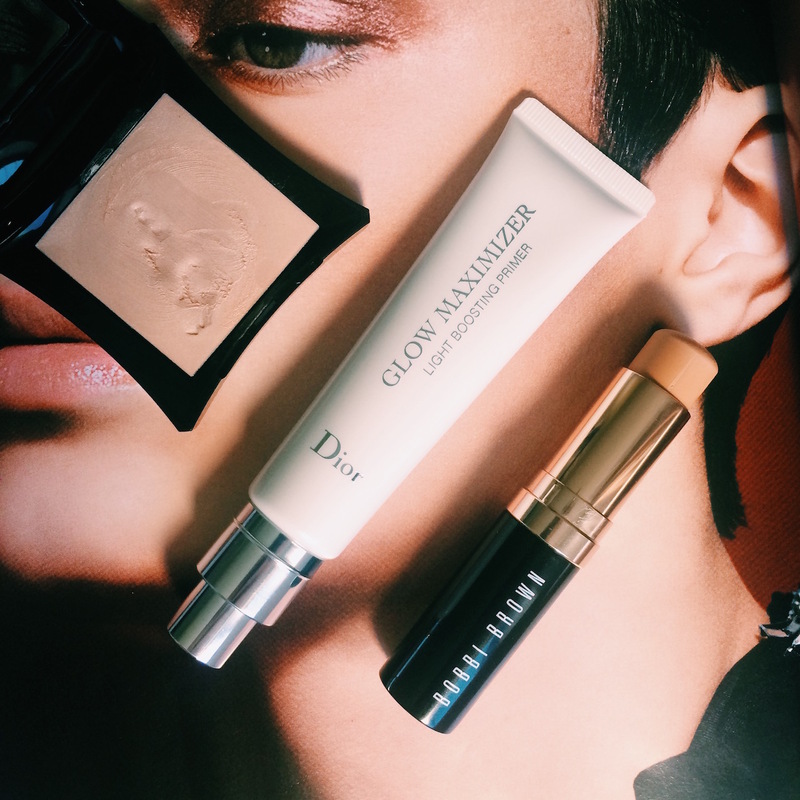 Using a flat foundation brush, I stroke thin layers of the Dior Glow Maximiser Light Boosting Primer all over my face. And, as the name would suggest, bring the glow it does! You can apply this on its own, or mix it in with your foundation, or you can use it to highlight and sculpt after you’ve applied your foundation. Once the primer has settled into the skin, it’s time to apply foundation. 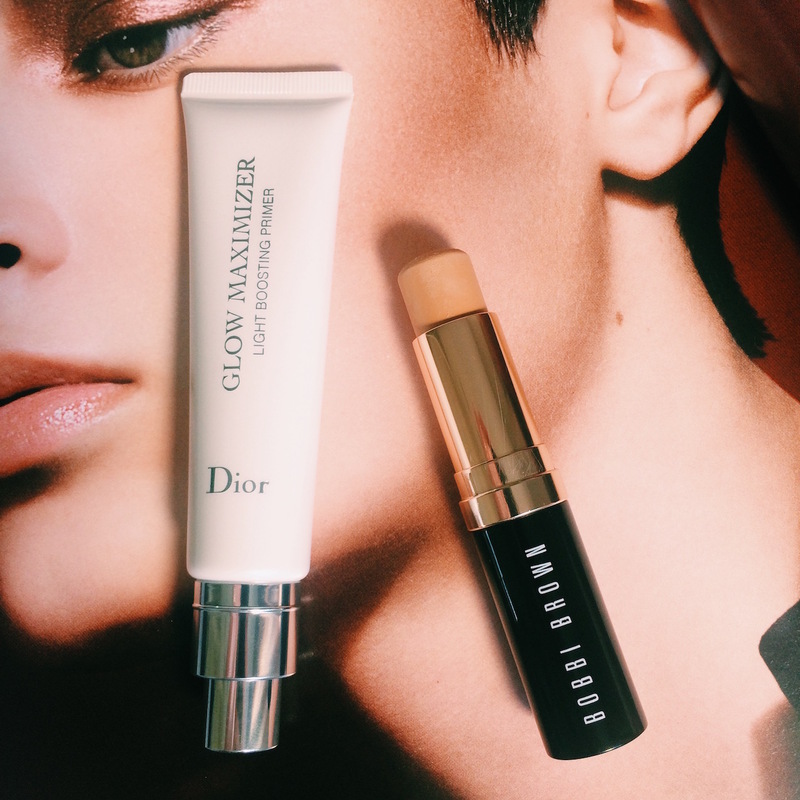 As I mentioned in our March Favourites Video, I have been obsessed with the Bobbi Brown Skin Foundation Stick lately, and I find that a few swipes of this does a brilliant job of perfecting the skin and leaves a lovely, creamy finish. Delicious. Want to highlight? Let’s highlight! 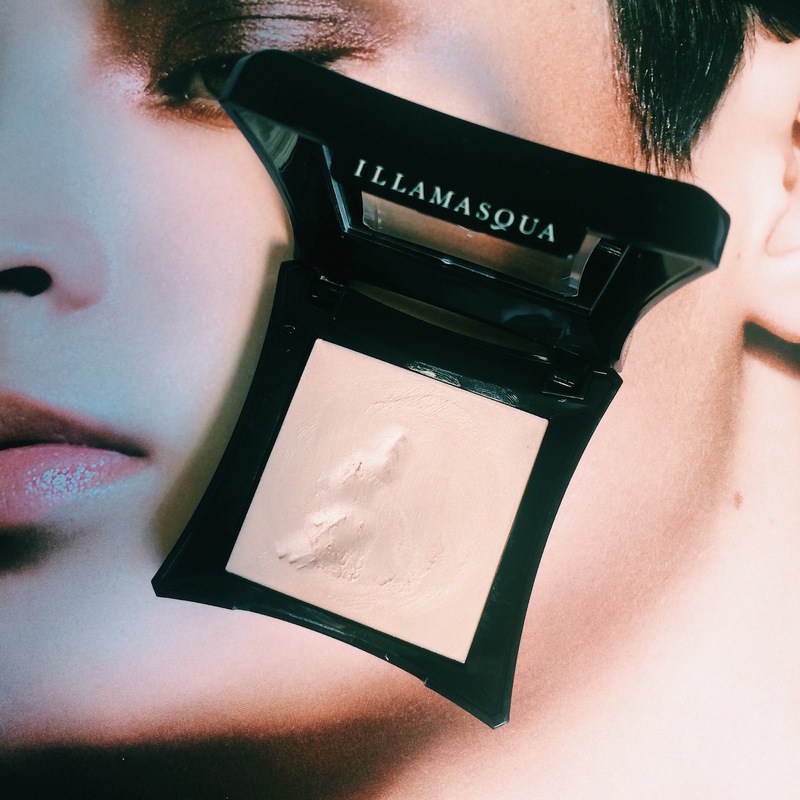 For this I use Illamasqua Gleam in ‘Aurora’ (sadly not available here, but a MAC Cream Colour Base in Luna/Pearl/Hush [depending on your skin tone] will do the job). I like to warm a little of it on my fingers and then gently press it into the high points of my face, and then, if needs be, I can ‘boop’ over the area with a dampened Beautyblender to make sure I get the most seamless blend. Lastly, I like to spritz my face with some MAC Prep + Prime Fix+ to really bring the glow. I am very liberal and would say I do about 6-8 spritzes. I find that this imparts even more luminosity, thereby ensuring true J-Lo dewiness. Do you have any tips for creating glowing skin? Please share!